Preheat the oven to 300°. In a food processor, pulse the confectioners’ sugar with the brown sugar until combined. Add the butter and pulse to combine. Add the einkorn flour, all-purpose flour and salt and pulse until the dough comes together. Divide in half and press into disks. Wrap in plastic and refrigerate for 30 minutes. Roll out each disk of dough between 2 sheets of parchment paper into a 1/4-inch-thick round. Peel off the top layer of parchment. Using a 2 1/2-inch round cookie cutter, stamp out cookies and transfer to 2 baking sheets, spaced 1/2 inch apart. 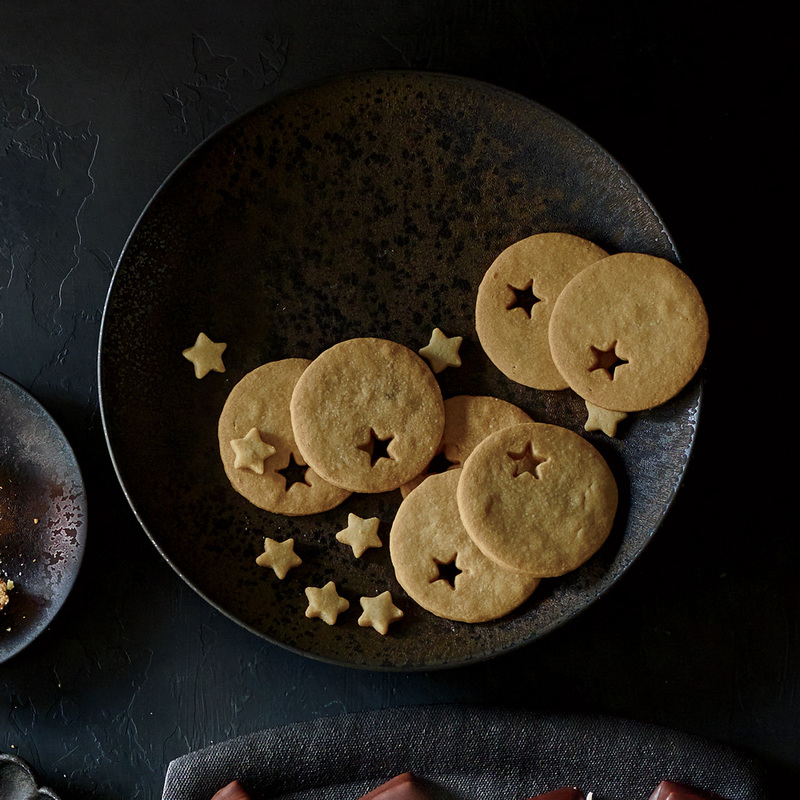 Using a small star-shaped cookie cutter, stamp out a star in the upper right corner of each cookie. Transfer the stars to a separate baking sheet. Reroll the scraps and cut out more cookies. Bake the cookies and stars until deep golden brown, 25 to 30 minutes for the cookies and 10 to 12 minutes for the stars. Transfer the baking sheets to wire racks and let cool completely. The cookies can be stored in an airtight container for up to 3 days. Einkorn flour is available from jovialfoods.com. Review Body: Jovial Foods offers All Purpose and Whole Wheat einkorn flour. Not Whole Grain. Which should I order? Thanks.